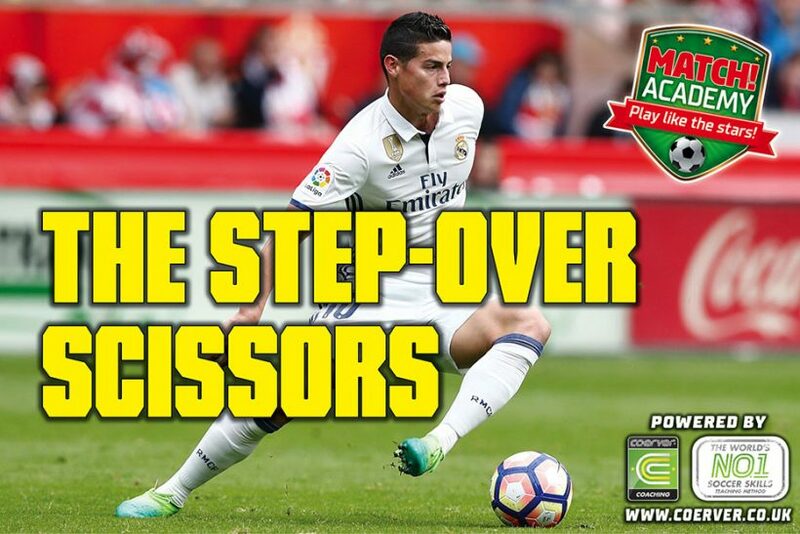 Busting out the epic Step-Over Scissors skill can help you create space to the left or right of an opponent who’s either in front or behind you in a 1 v 1 situation. It’s a top-quality skill that James Rodriguez loves to do. Learn how to do it below! Keep your head up so you can see your team-mates, opponents and space. Travel slightly away from the area you want to move into to move your opponent and create more space. 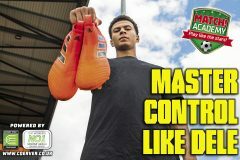 Then accelerate away with a fast touch and use your furthest foot from the defender to protect the ball! Tap the ball twice to your right with the outside of your right foot and step around the ball with the inside of your left foot. Tap the ball twice to your left with the outside of your left foot and step around the ball with the inside of your right foot. Repeat the sequence, start slowly and gradually speed up making sure to have eyes-up while on the move. Step around the front of the ball with the inside of your foot. As your foot touches the ground, use the outside of the same foot to push the ball away. Now accelerate away in the opposite direction. 1 V 1 MIRROR MOVES – THE STEP-OVER SCISSORS! Step around the front of the ball with the inside of your foot (Step-Over). As your foot touches the ground, use the outside of the same foot to step back around the ball (Scissors). Use the outside of your opposite foot to push the ball in the opposite direction and accelerate away.